My postpartum depression journey started over 5 years ago and while life has significantly improved for me since then, I can’t say that I’m completely past the dark days. This is one of the reasons why I am constantly looking into treatment options. The other reason is to help find and share resources for other mothers who are suffering with maternal mental health disorders. There are plenty of medications, resources, treatments and information available for depression, but not all of them are appropriate for treating prenatal or postpartum depression. Most pharmaceutical drugs are not safe and/or untested on pregnant and breastfeeding women. Even some natural treatments and herbs are unsafe during pregnancy and breastfeeding. I recently came across the End Your Depression Treatment Plan, which promises to help sufferers overcome their symptoms of depression without the use of anti-depressants. I was NOT paid for this review, nor did I receive any type of compensation or discount for purchasing this treatment plan. However, if you decide that this treatment plan is the right one for you and purchase it using one of my affiliate links, then I will receive a small commission. I am normally a skeptic when it comes to these types of treatment plans. Depression is often seen as a “mind over matter” condition, leaving too much room for people to be taken advantage of in the way of treatments. This review contains my honest opinion after purchasing and thoroughly reviewing the material. While this treatment plan is targeted towards all different types of depression, I’ve reviewed it specifically from the perspective of a person with postpartum depression. The End Your Depression Treatment Plan claims to work by teaching you how to gain control over your depression, instead of simply fighting it off. I was intrigued by the idea of being able to “dominate” over depression. I have seen significant improvements in my overall postpartum depression symptoms since starting anti-depressants but they’re not something that I want to be taking forever. Each time I have tried to wean off of the medication, I suffer from a relapse and can never seem to get ahead of the symptoms. The End Your Depression treatment plan talks about a PERMANENT solution and that is what appealed to me the most. It’s not exactly a treatment plan. I was expecting a structured, how-to type of plan and this is not that. I realize now that it’s probably for the best because everyone deals with depression in different ways and one plan would not work for everyone. So if you are searching for a book that will tell you, step-by-step, how to cure your depression – it does not exist. Upon reading the End Your Depression e-book, I discovered that what it actually contains is a significant amount of information about depression. Parts of it I was already familiar with, thanks to my own research on postpartum depression, but I was surprised to find that most was new information. The way it is presented was very clear and easy to understand. I didn’t feel overwhelmed by the information, but rather excited to learn and read things I hadn’t been able to find anywhere else. The e-book did NOT make me feel like positive thinking alone could cure my depression. It validated all the problems I have experienced with postpartum depression and gave me the tools and information I needed to move forward and stay ahead of the symptoms. The End Your Depression e-book goes into great detail about the different types of depression and how and why they affect different people. This was information I had never read about before. In the case of postpartum depression, we so often assume that a traumatic birth or hormone fluctuations are to blame, but it could be other reasons all together. Knowing this root cause of depression is especially important because the e-book then goes on to explain how different diets, exercise regimens and herbal supplements work based on the type of depression a person has. The 74 page PDF download was user friendly and easy to read and I was able to finish the e-book over 2 days. In addition to the End Your Depression e-book, I received 3 additional free e-books that worked as supplements to the information in the treatment plan. The plan also comes with free lifetime updates, so if new information becomes available, those will automatically be available. The End Your Depression Treatment Plan gave me access to information that I would not have found otherwise. I’ve been working on evaluating the root cause of my postpartum depression using the advice from the e-book, and am discovering that it’s not what I initially thought it was. I now have a direction to go in the way of experimenting with my diet and exercise routine – instead of blindly trying anything and everything. I’ve learned what to look for when choosing herbal supplements and what to avoid (although the e-book did not indicate whether the herbs and supplements were safe for use while pregnant or breastfeeding). Everything in the e-book is attainable. Nothing feels incredibly out of my comfort zone and it’s evident that the author truly understands what it feels like to battle with daily depression. I would recommend the End Your Depression Treatment Plan to mothers battling postpartum depression. Knowing the how’s and why’s behind the symptoms is a great place to start on the road to recovery. 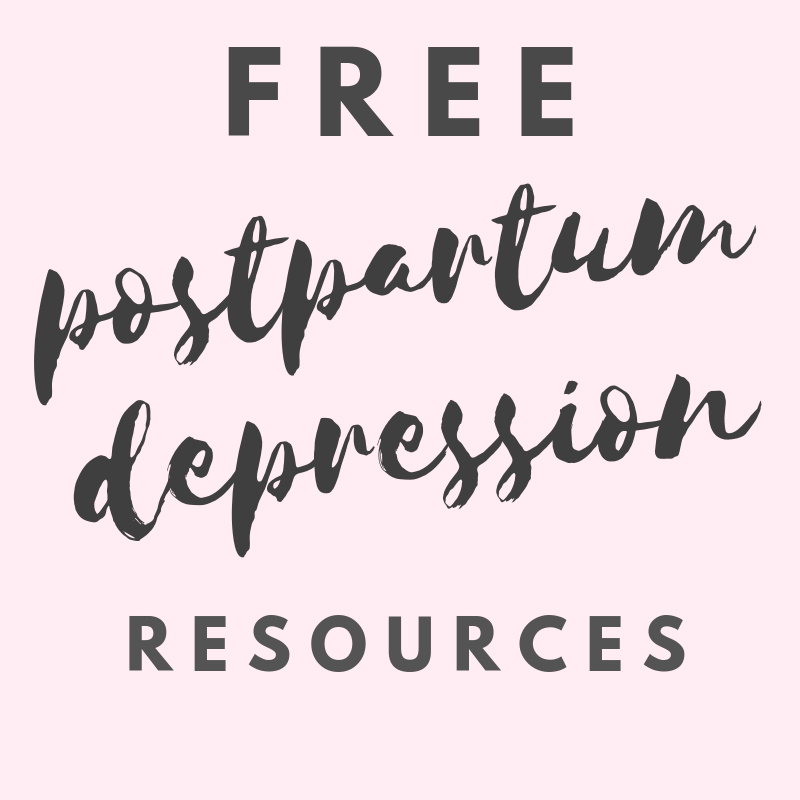 Instead of trying every single treatment option out there for postpartum depression, use this e-book to help figure out what the root cause is of your depression. Then, you can create a treatment plan that actually works for YOU. While I wouldn’t suggest depending solely on the information in this e-book to cure your depression – it is an excellent starting point for anyone who wants to seek a permanent way to overcome their postpartum depression. BONUS: A FREE gift for you! This 20+ page e-book contains a mere sample of the tips for treating depression that can be found in the End Your Depression Treatment Plan. In order to receive the free gift, you will be asked to subscribe to the Running In Triangles Postpartum Depression e-mail list. You may unsubscribe at any time.